At regular intervals (the timing of which is computed by Site-06's on-staff nganga (shaman) based on astronomical observations), the nganga is to affix to each specimen at least one additional iron nail having a mass in excess of eight grams. Each figurine depicts a human form (or, in some cases, an animal form), typically depicted in a threatening posture. Each specimen is composed of African tropical hardwood and decorated with materials such as camwood powder, resins, and vegetable fiber such as raffia palm fronds. Each specimen includes a component (typically the eyes or abdomen) made of shiny or reflective metal such as polished silver, affixed to the specimen with tree gum. The specimens contain trace amounts of soil matched to certain funerary sites in the ██████ region. A number of iron nails have been hammered into the wood of each specimen. 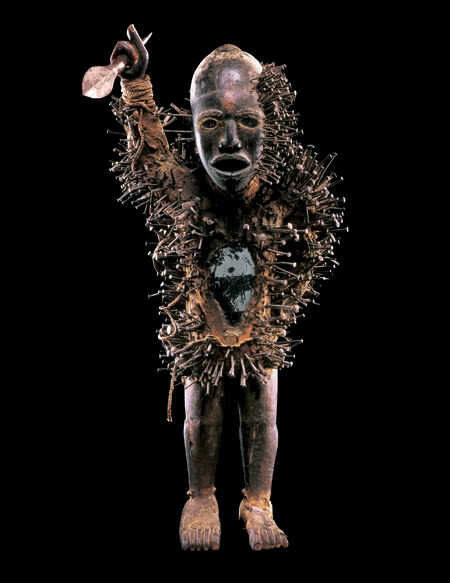 Each specimen is associated with a sentient incorporeal entity that had become bound to its respective specimen, prior to the Foundation's acquisition of the specimen in question, by means of a traditional Kongo shamanistic ritual practice. Each of the specimens in the Foundation's custody were constructed (inclusive of the performance of the binding protocol) no more recently than the mid-1870s.1 So long as the integrity of its respective SCP-1036 specimen is maintained, the entity is incapable of free agency apart from communicating with a nganga or interacting with a living creature that makes eye contact with the specimen. 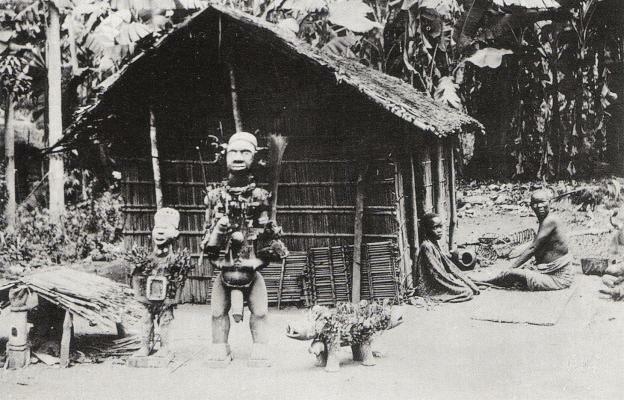 Specimens of SCP-1036 were constructed by indigenous nganga in order to apply the powers of the bound entity for various useful purposes, but knowedge of the protocol for doing so has been lost; accordingly the Foundation's efforts regarding SCP-1036 have focused on containment. Dr. Morrison: I'm sorry, François. Into the microphone. Dr. Torvaldsdottir: Begin recording. Agent Lee, I'm here to take your debrief about the loss of SCP-1036-2, -3 and -4. We are designating the episode as Event Kalazima-1. Dr. Torvaldsdottir: Three, including you, but you're the only one that, ah, we can interview. I'm going to need you to be precise, for the record. Lee: Okay. One of the D's was in there to change the monitors on SCP-1036-3's box. Lee: That's right. 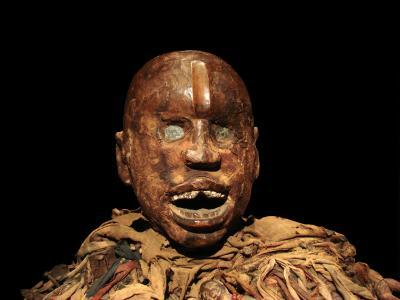 The normal maintenance protocol is that the duty witch doctor — it was supposed to be Pierre Khonvoum, but his daughter was having a baby — the witch doctor goes in first, covers up the shiny bits, and then gives the all clear. But Pierre wasn't there, so Terry made a judgment call and just sent D-4933 in there with a blindfold on. Dr. Torvaldsdottir: Pete… um… (shuffles papers)… I'm afraid not. Agent Foy's body was found in the garage. Cause of death… looks like he drank about two liters of gasoline. What did you do when you regained consciousness? Dr. Torvaldsdottir: There's… um… there's no sign of that. We had MTF Mu-13 come through and give the all clear.